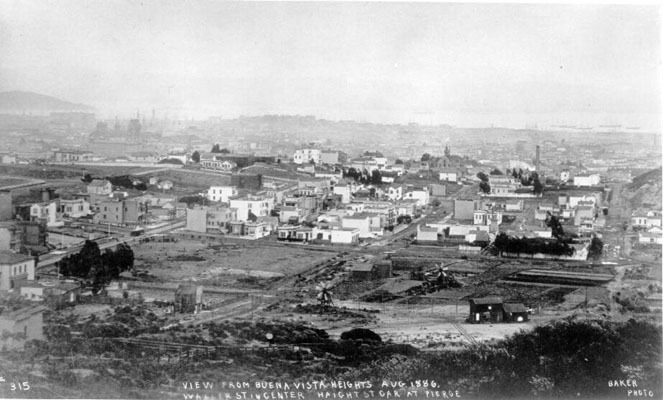 View eastward from Buena Vista Park in 1886. 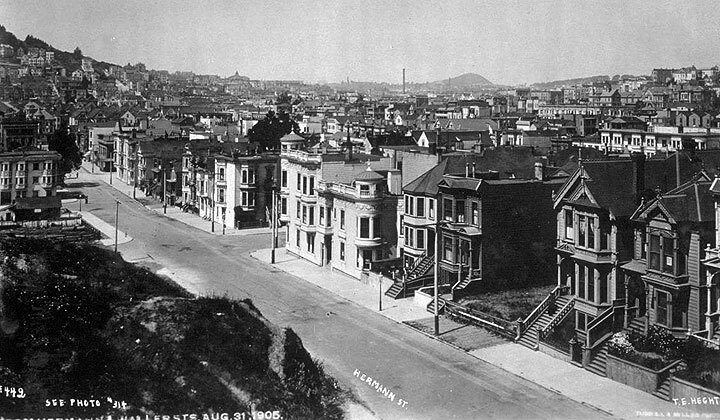 Baseball game underway in lot middle left, at corner of Pierce and Haight, Yerba Buena Island in upper left corner. 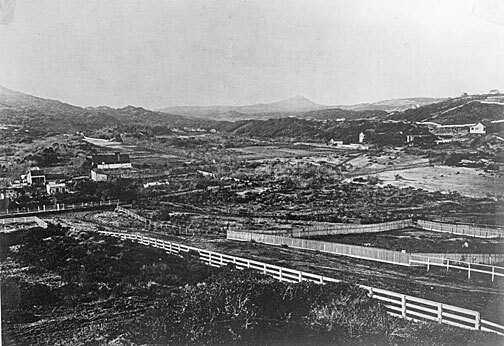 1860s view northwesterly across same "lower Haight" area, east of Buena Vista Peak. 1905 view northwesterly matching 1860 view above.